Pralines & TrufflesOur handcrafted Belgian Pralines represent the pinnacle of Belgian chocolate-making. The word “praline” traditionally means a filling of caramelized hazelnuts or almonds. We have expanded the concept and wrap our velvety chocolate around a variety of unique fillings, to surprise, delight and satisfy our customers. BallotinsWe offer tastefully decorated boxes in a number of sizes in which we can package your very own assortment of pralines and truffles. Our sizes are classed by weight and we have 50 gram, 100 gram, 200 gram and 500 gram sizes to choose from. Gift BoxesWe have two elegant gift boxes for people who want to give fine chocolates to their loved one. These make the perfect gift as you can hand-pick which chocolates to include in the selection. We have both a 15 piece and 35 piece gift box available. Asian CollectionWe offer three separate gift boxes that together make up our Asian Collection of quality chocolates. In the collections are elegant presentations consisting of various pralines and truffles of three different flavors of Asia. They are all a thoughtful reminder of why we love this region of the world. TabletsOur tablets represent one of the purest expressions of the Belgian chocolate-maker’s art that our customers can experience. Whether you choose from our Origin, Sugar-free or Flavored collections, you will be enjoying the best of the art of fine Belgian chocolate making. Fillings & FlavouredWe have catered to people’s love of exploring different tastes by offering four varieties of flavored chocolate. Each one is based on our three chocolate varieties and hand-crafted to be a careful and true balance of both chocolate flavor and the popular flavors of mint, strawberry and matcha green tea. Single OriginOur Origins collection of 42 gram tablets enables our customers to take a virtual tour through the chocolate-producing countries and taste the unique attributes of what they have to offer the world of chocolate. Sugar Free & Low SugarOur three basic types of chocolate offer much healthier alternatives in chocolate indulgence by using our skilled expertise in making fine chocolate. They use less sugar than our competitor’s brands and, in the case of our dark chocolate, we offer a completely sugar free, but still excellent tasting chocolate. Nut & FruitWe offer our nut and fruit collection of chocolates to provide our fine Belgian chocolate experience in smaller-sized portions. They are perfect for when you want a small taste of a fine chocolate or simply want to taste the chocolate with all of the fruit and nuts we have on offer. MacaronsWe offer tasty and feather-light macarons made in the old European confectionary tradition. We use only the finest ingredients and they are made fresh, every day. Whether you are celebrating a special occasion or just want to indulge your senses, treat yourself to an assortment of our famous macarons. AssortmentsWe offer tasty and feather-light macarons made in the old European confectionary tradition. We use only the finest ingredients and they are made fresh, every day. Whether you are celebrating a special occasion or just want to indulge your senses, treat yourself to an assortment of our famous macarons. Pastry & DessertOur pastries and desserts are freshly-made creations that feature our quality chocolate combined with other well-loved ingredients into delicious works of art. They are all some of the most popular items we offer. Whether you’re looking for a light snack or a sinfully rich dessert, we can satisfy your cravings. You may use the Service only if you can form a binding contract with Duc de Praslin, and only in compliance with this Agreement and all applicable laws, rules and regulations. If you are under 18, your parent or guardian must enter into this Agreement on your behalf, and will be responsible for your use of and access to the Service; this includes financial responsibility for any items you purchase through the Service. Any use or access to the Service by anyone under 13 is strictly prohibited and in violation of this Agreement. If you are under 13, please do not attempt to register for the Service or send any information about yourself to us, including your name, address, telephone number, or email address. If we learn that we have collected personal information from anyone under age 13 without verification of parental consent, we will delete that information as quickly as possible. If you believe that we might have any information from or about anyone under 13, please contact us at info@gallothai.com. The Service is not available to any Users previously removed from the Service by Duc de Praslin. Duc de Praslin reserves all rights not expressly granted under this Agreement. Any attempt by you to transfer any of the rights, duties or obligations hereunder, except as expressly provided for in this Agreement, is void. You have the opportunity to create an account at Duc de Praslin in order to gain access to certain services and functionality that we may establish and maintain from time to time and in our sole discretion. You may never use another User’s account without permission. You are solely responsible for the activity that occurs on your account, and you must keep your account password secure. You must notify Duc de Praslin immediately of any breach of security or unauthorized use of your account. Duc de Praslin will not be liable for any losses caused by any unauthorized use of your account. Accessing the audiovisual content available on the Service for any purpose or in any manner other than Streaming (as defined below) is expressly prohibited. “Streaming” means a contemporaneous digital transmission of an audiovisual work via the Internet from the Duc de Praslin Service to a User’s device in such a manner that the data is intended for real-time viewing and not intended to be copied, stored, permanently downloaded, or redistributed by the User. We may, without prior notice, change the Service, stop providing the Service or features of the Service (to you or generally), or create usage limits for the Service. We may permanently or temporarily terminate or suspend your access to the Service without notice or liability to Duc de Praslin, for any reason or for no reason, including if in our sole determination you violate any provision of this Agreement. Upon termination of this Agreement or your access to the Service for any reason or no reason, you will continue to be bound by the terms of this Agreement which, by their nature, should survive termination, including without limitation ownership provisions, warranty disclaimers, indemnity, and limitations of liability. You are solely responsible for your interactions with other Duc de Praslin Users. We reserve the right, but have no obligation, to monitor disputes between you and other Users. 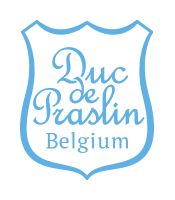 Duc de Praslin shall have no liability for your interactions with other Users, or for any User’s action or inaction. For the purposes of this Agreement, “Intellectual Property Rights” means all patent rights, copyright rights, mask work rights, moral rights, rights of publicity, trademark, trade dress and service mark rights, goodwill, trade secret rights and other intellectual property rights as may now exist or hereafter come into existence, and all applications. Duc de Praslin takes no responsibility and assumes no liability for any User Content that you or any other User or third party posts or sends over the Service. You shall be solely responsible for your User Content and the consequences of posting or publishing it, and you agree that we are only acting as a passive conduit for your online distribution and publication of your User Content. You understand and agree that you may be exposed to User Content that is inaccurate, objectionable, inappropriate for children, or otherwise unsuited to your purpose, and you agree that Duc de Praslin shall not be liable for any damages you incur or allege to incur as a result of User Content. Subject to the terms and conditions of this Agreement, you are hereby granted a non-exclusive, limited, non-transferable, freely revocable license to use the Service for your personal, non-commercial use, as permitted by the features of the Service. Duc de Praslin reserves all rights not expressly granted herein in the Service and the Duc de Praslin Content. Duc de Praslin may terminate this license at any time for any reason or no reason. Except for your User Content, the Service and all materials therein or transferred thereby, including, without limitation, software, images, text, graphics, illustrations, logos, patents, trademarks, service marks, copyrights, photographs, audio, videos, music, and User Content (the ” Duc de Praslin Content”), and all Intellectual Property Rights related thereto, are the exclusive property of Duc de Praslin and its licensors. Except as explicitly provided herein, nothing in this Agreement shall be deemed to create a license in or under any such Intellectual Property Rights, and you agree not to sell, license, rent, modify, distribute, copy, reproduce, transmit, publicly display, publicly perform, publish, adapt, edit or create derivative works from any materials or content accessible on the Service. Use of the Duc de Praslin Content or materials on the Service for any purpose not expressly permitted by this Agreement is strictly prohibited. Duc de Praslin cares about the integrity and security of your personal information. However, we cannot guarantee that unauthorized third parties will never be able to defeat our security measures or use your personal information for improper purposes. You acknowledge that you provide your personal information at your own risk. The Service may contain links to third-party websites, advertisers, services, special offers, or other events or activities that are not owned or controlled by Duc de Praslin. Duc de Praslin does not endorse or assume any responsibility for any such third-party sites, information, materials, products, or services. Additionally, your dealings with or participation in promotions of advertisers found on the Service, including payment and delivery of goods, and any other terms (such as warranties) are solely between you and such advertisers. You agree that Duc de Praslin shall not be responsible for any loss or damage of any sort relating to your dealings with such advertisers. You agree to defend, indemnify and hold harmless Duc de Praslin and its subsidiaries, agents, licensors, managers, and other affiliated companies, and their employees, contractors, agents, officers and directors, from and against any and all claims, damages, obligations, losses, liabilities, costs or debt, and expenses (including but not limited to attorney’s fees) arising from: (i) your use of and access to the Service, including any data or content transmitted or received by you; (ii) your violation of any term of this Agreement, including without limitation your breach of any of the representations and warranties you make in this Agreement; (iii) your violation of any third-party right, including without limitation any right of privacy or Intellectual Property Rights; (iv) your violation of any applicable law, rule or regulation; (v) any claim or damages that arise as a result of any of your User Content or any that is submitted via your account; or (vi) any other party’s access and use of the Service with your username, password or other appropriate security code. Since 1993, Paul and Jean-Louis Graindorge have been passionately bringing the taste of real Belgian chocolate to the Thai market. From traditional praline and truffles to pastries such as macarons, tuiles and sablés, every bite will delight your taste buds. All our products are manufactured in Thailand using Belgian chocolate and Belgian chocolate making techniques fused with Thai grown ingredients, such as coffee beans, macadamias and numerous tropical fruits. Dark chocolate is loaded with nutrients that can positively affect your health and mood. It is one of the best sources of antioxidants, and can improve health and lower the risk of heart disease. For diabetics and those who would like to control their sugar intake, we offer a Sugar Free and Low Sugar chocolate collection.